It's draft day and it happens: A previously thought of "key piece" of the Pittsburgh Penguins' core is shipped to a destination other than that of the Steel City. Contract talks didn't work out, an impasse was found and a decision was made. Is this a flashback to last year with Jordan Staal or a peak into the future with Kris Letang? We won't know for a few days but one thing we do know: Don't expect equal value. Last year's Draft Day trade of Jordan Staal surprised many and the return shocked a few. The Penguins received an excellent for their top flight Third Line Center in Brandon Sutter, someone who truly plays a shut down role and contributes offensively as well. The additional 1st round pick made it a fair trade. Brian Doumolin's inclusion made it seem an overpayment. This, ideally, would just be the starter for a Kristopher Letang. In a perfect world Kris Letang will fetch you a top winger, a draft pick, and a solid prospect and a bit more with a cherry on top. As this year's playoffs taught us, once again, this world is far from perfect. Kris Letang is exceedingly talented. He is a franchise defenseman and talent wise one of the top three players at his position. The trouble comes from his worth to the team. As mentioned in the What's Next piece on Letang, other teams will covet him because there is no one like him on their team. The Penguins don't have that problem. 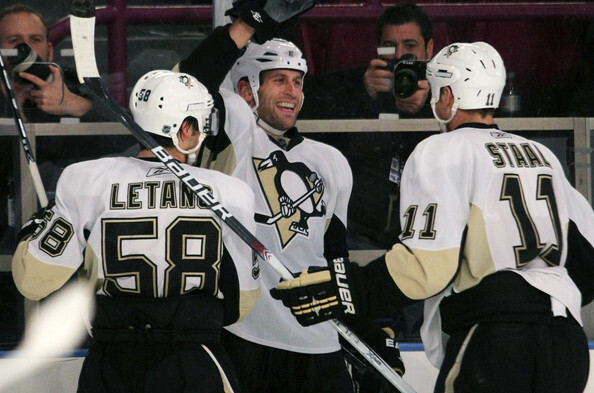 The Penguins would miss Letang but they don't need him. A prime example of one of those teams who NEED a Kris Letang is the continually mentioned destination of the Toronto Maple Leafs. The problem is that the Leafs might not have these assets in their possession. It's easy to want Phil Kessel. He's a 40 goal scorer who can be a difference maker and long term answer for Sid's wing with Chris Kunitz re-signed and Pascal Dupuis still up in the air. Phil Kessel is not coming to Pittsburgh. A top flight prospect, hopefully on offense, would make this deal much sweeter for the Penguins. The Maple Leafs prospect pool is pretty dreadful. At best. That first round pick would be nice after the Pens sent their pick to Calgary for Jarome Iginla. It's a deep draft after all. Okay, this is very possible. Looking around at teams who feel that Letang is "That Player" that puts them over the edge, you're hard pressed to find someone who will have the cap room to sign him long term with the necessary assets to make the deal worth while for the Penguins in what can be seen as a win/win trade. 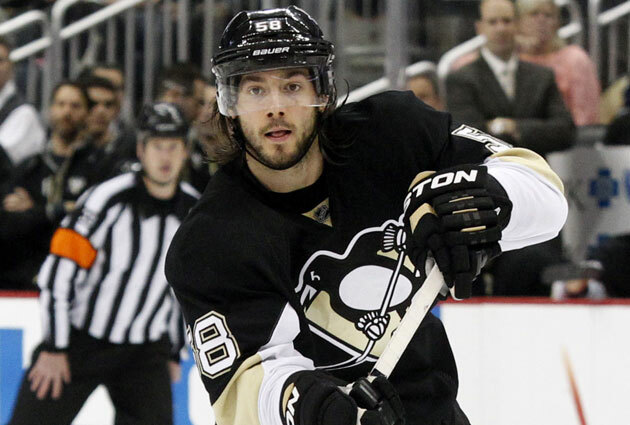 Can the Penguins receive a "good" return for Kris Letang? Sure. They can get a first round pick and a roster player or a first rounder, some other picks, and a top flight prospect. The Penguins, however, cannot "win" this trade. If/When Kris Letang is finally dealt from Pittsburgh temper your expectations. Kris Letang will command a King's Ransom. He's not only an offensive defenseman but he's a young, franchise caliber player. The problem becomes the lack of ransom money available in the NHL. For once this is a game the Penguins are not likely to win. Nicholas Case is the owner of caseandpointsports.com. He can be found on Twitter at twitter.com/Nick422 and he always enjoys hearing from you. Yes you. You can reach him at nick@pensinitiative.com.